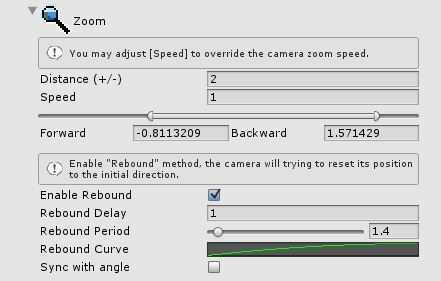 Have you ever always need to change the view of the camera in your games, but found it’s hard to develop? Or even feel a headache after playing the game for a long period of time? Here you can find the Antidote. basic : Speed setup in 2 minutes. 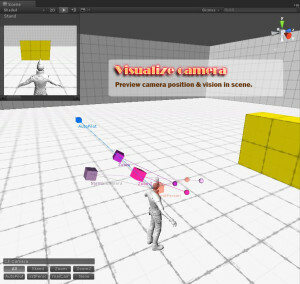 Our dynamic orbit camera can support different angle of views based your setting. Also provided sample coding for different project scope. Allow to apply without any coding knowledge. That’s what you need and what I thought. 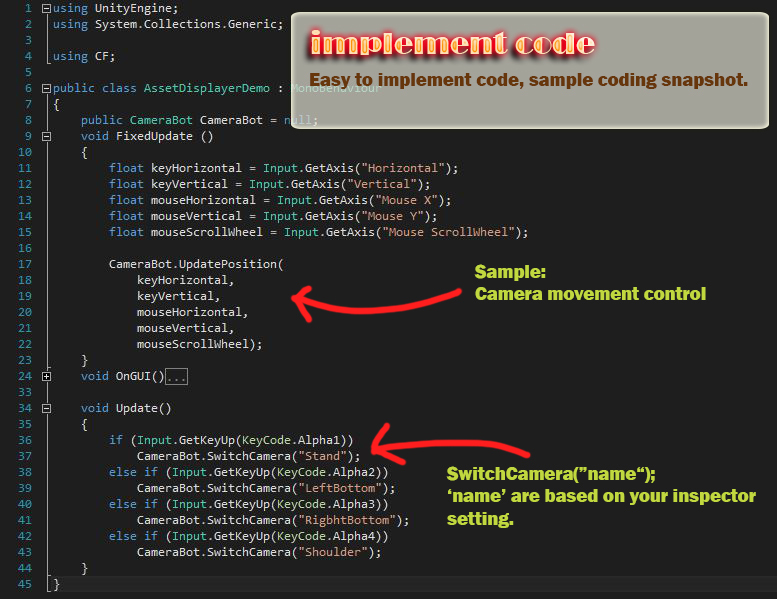 dynamic assign/switch the other camera in the middle of the game. when orbit tracking in slow motion can still remain orbit distance. 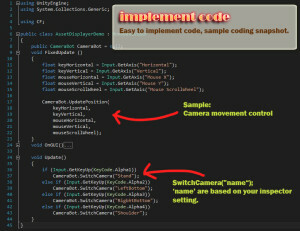 incorrect display camera visualize handler, preview method. Auto focus preview image for editing camera. 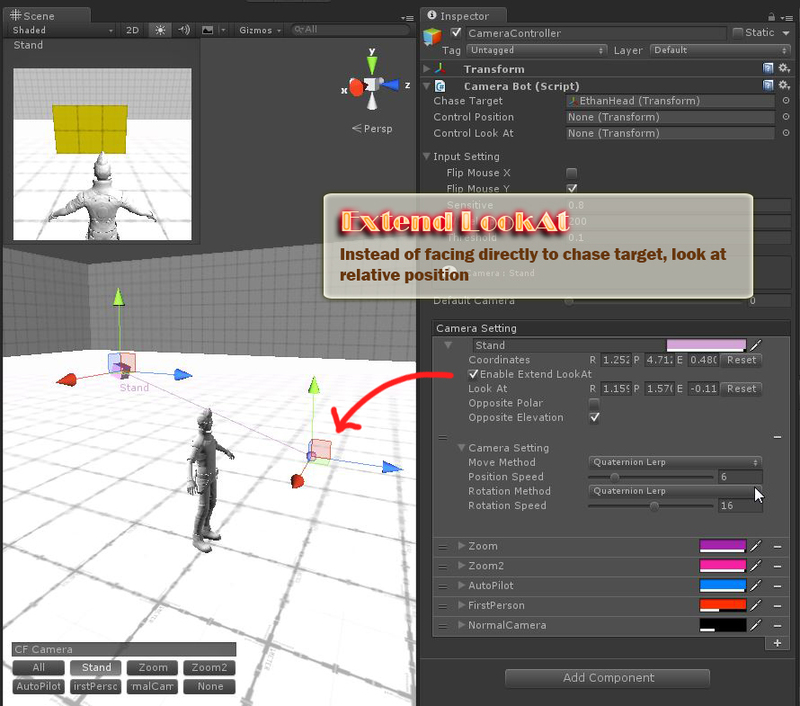 case Fixed: Editor mode might generate nullreference error for in correct preset reference. Fixed Unity3D 5.2.2f1 editor camera trigger null reference. Fixed some bug will crash on 5.2. 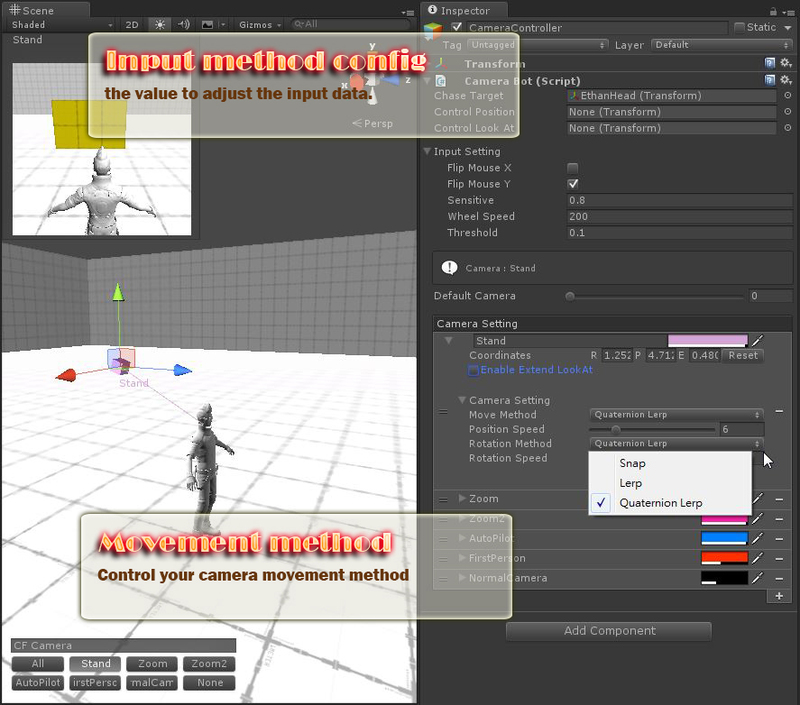 Fixed CursorLock not working on WebGL Added PCKeyControl entity. Easier to add control method on camera. 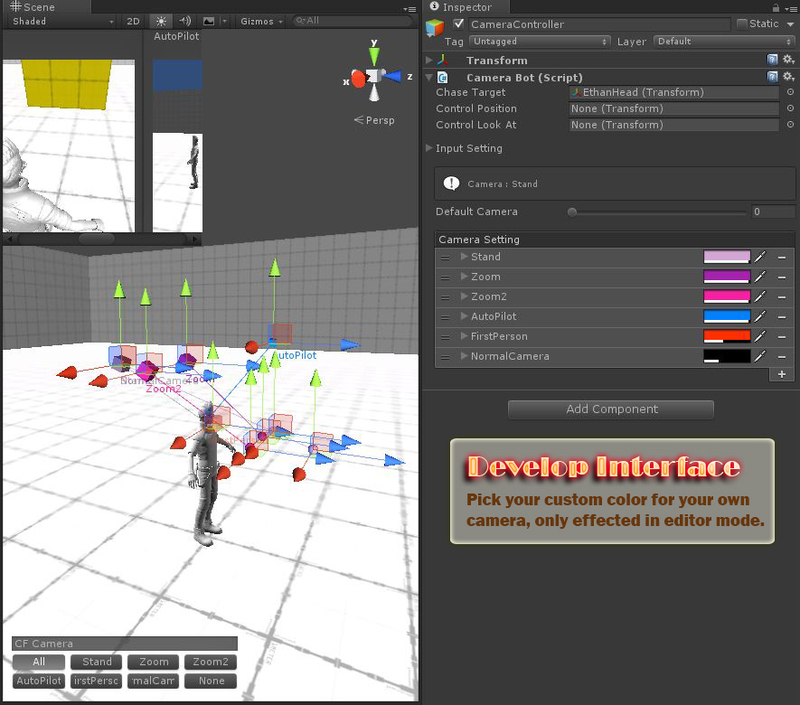 Editor Rotation using “Ctrl” key can rotate all visible Preset Still have some feature not finish on Input Control. 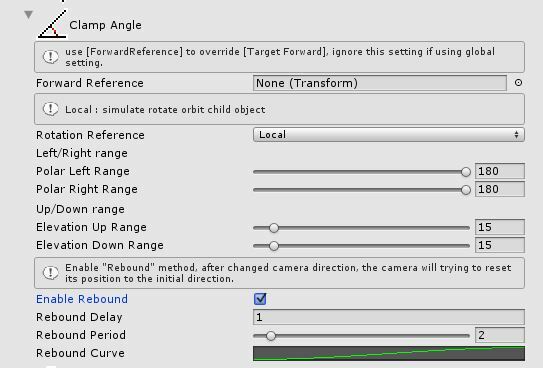 Fixed camera upward may wrong when chase target is not facing straight. 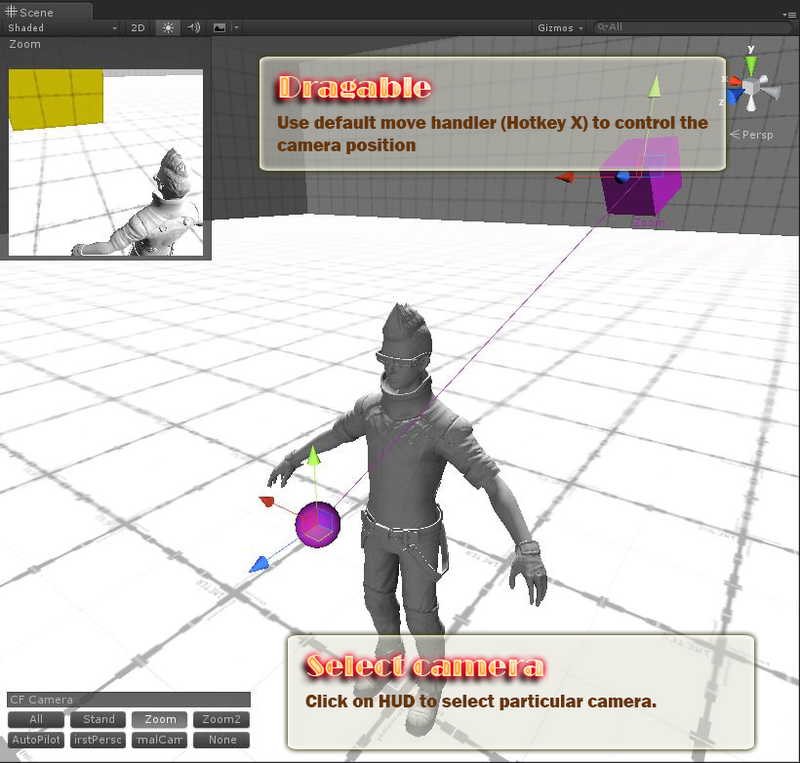 Add avoid obstacle detection, backward ray cast method. allow to use Move(w) / Rotate(e) tools to define camera point and virtual target position. 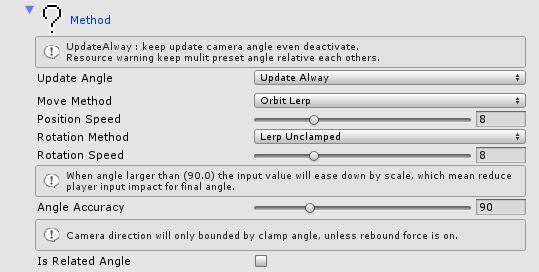 Fixed quaternion “Gimbal Lock” issue. 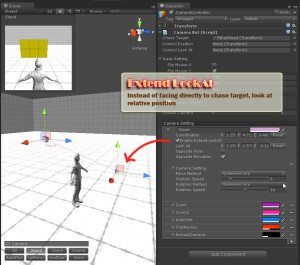 fix rotation left & up direct error.